What is the must eat food when in Sabah? this is the most common question face by every Sabahan. 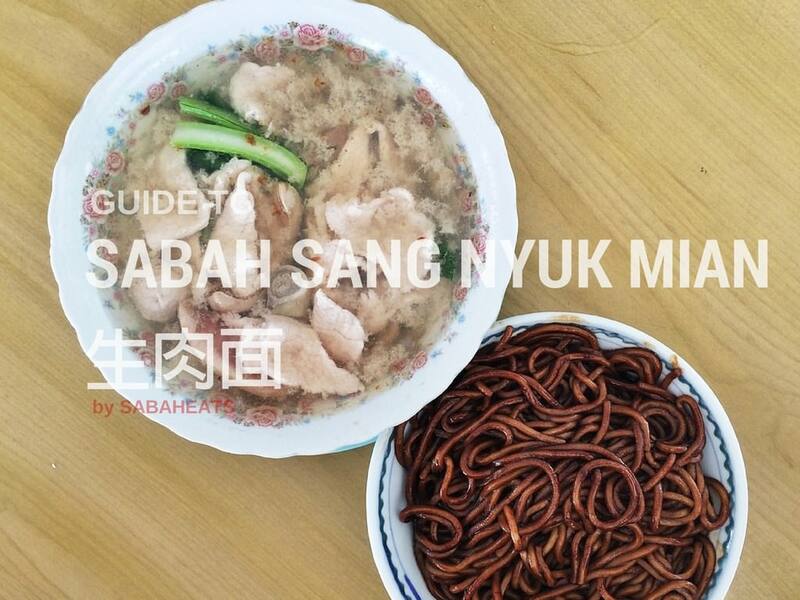 Sabahan recommend Sabah Pork noodle (local call is Sang Nyuk Mian) to those who want to experience food of Sabah and after many years it become one of the signature food representing Sabah. Sang Nyuk Mian become so famous that TV and media company from all over the world come and and experience it for themselves. 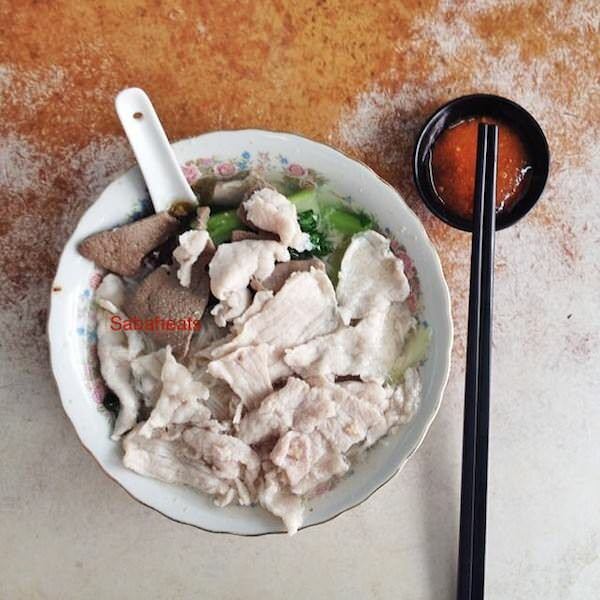 Sang Nyuk Mian in Hakka literally mean ” Raw pork noodle ” . Every pork is thinly sliced and serve on top of the noodle. 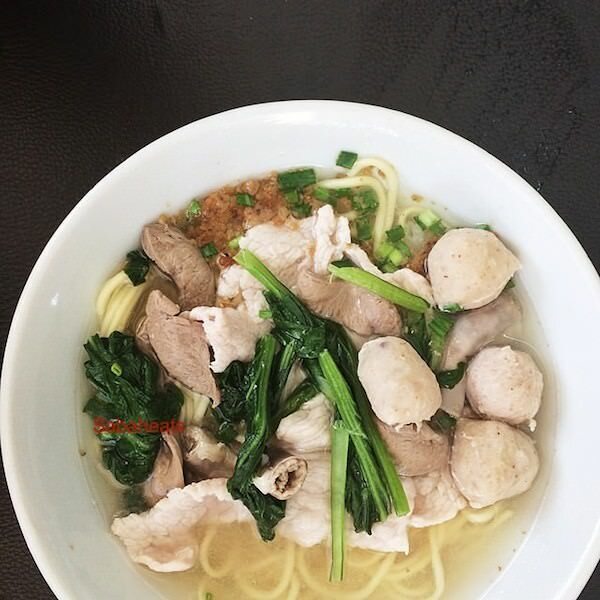 The Origin of Sang Nyuk Mian is said to be from Tawau. Kedai Kopi Kim Hing Lee is said to be the first coffee shop serving Sang Nyuk Mian in Kota Kinabalu from their shop at Sinsuran Complex. 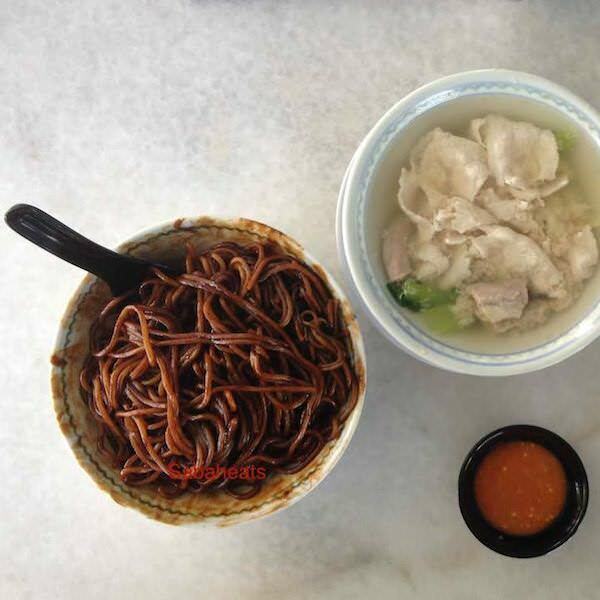 Over the year, the skills and recipe pick up by the others and start their own Sang Nyuk Mian shop. Every Sabahan have their own preference when it come to Sang Nyuk Mian so its depends on who you talk to when it comes to recommendation for the best Sang Nyuk Mian. 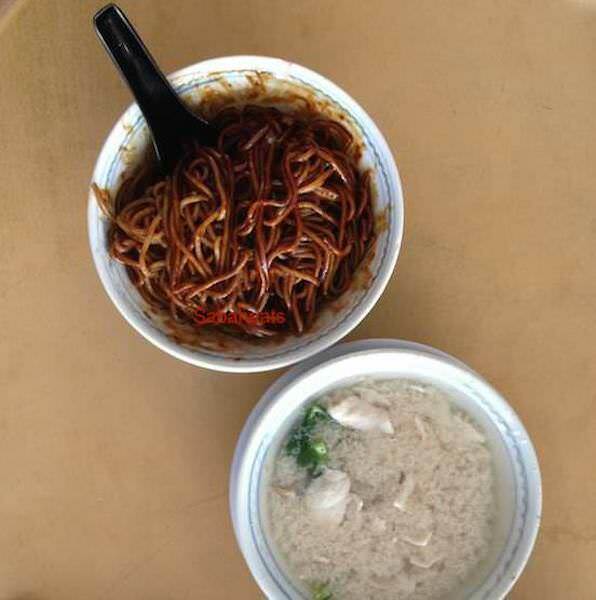 You can have Sang Nyuk Mee in two styles, either Noodle Soup or Kon Lau(dark sauce dry noodle). For best flavour, ask for extra pork lard ( not for health conscious!) The combination of dark sauce and lard, Heavenly! One of the oldest in town. Serving Sang Nyuk Mian for over 25 yrs! Appear on few TV shows from Taiwan, China and Hong Kong. Popular with the locals around Lintas area. Slightly modify version of Sang Nyuk Mian serve with their delicious pork balls.